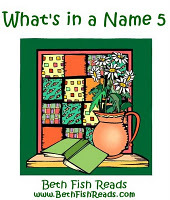 To join, visit the What's in a Name 5 sign-up page. This will probably be the only 2012 challenge I'll sign up for even though it looks like I won't complete it this year. Good luck! Have fun with the challenge!! !